Your workwear just got a promotion. 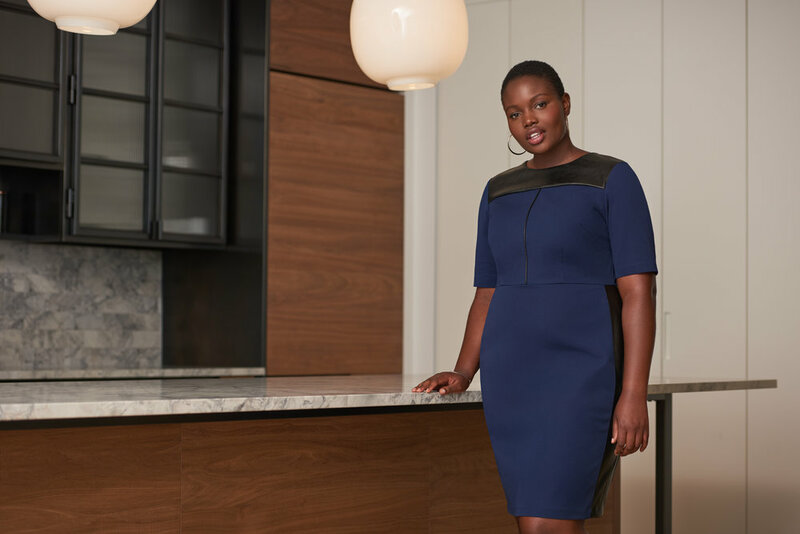 Introducing our Premier Workwear Kit, a chic refresh to power up your Monday-Friday with our sharp, tailored-to-perfection styles. Impeccably executed with ultra-luxe Bi-Stretch fabric, fine faux leather details and coordination outerwear (hello, opera length gloves! ), this kit will buy and sell you over lunch. The twenty piece set, available in black, navy and heather gray, can be worn interchangeably to make countless, ‘corner office with a view’ worthy looks. The luxe woven fabric maintains a sharp and tailored look while still providing all-day comfort even throughout back-to-back meetings. Must haves include: our 100% cashmere fine gauge sweater, our best-selling flannel robe coat now in a charcoal grey, and the faux leather details on our updated workwear dress. 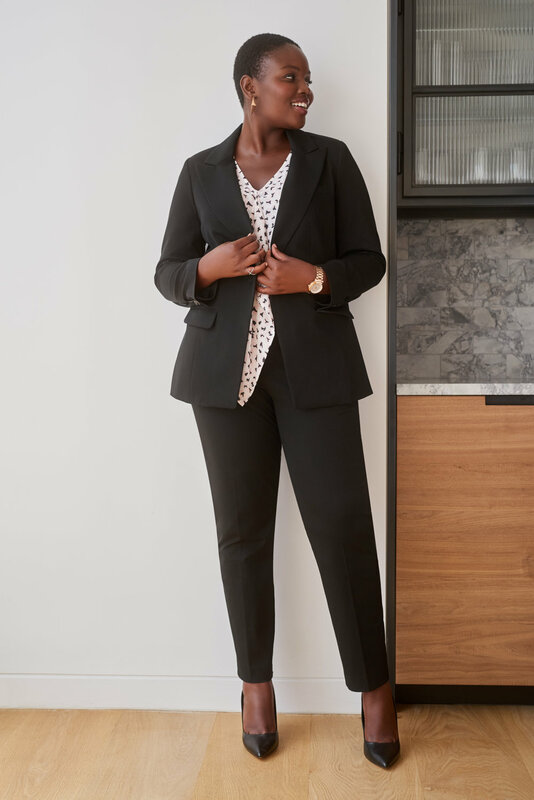 Whether for the boardroom, courtroom, trading floor, or wherever your M-F takes you, our new Premier Workwear Kit gives every power woman’s wardrobe an executive lift.